Whew, I'm cutting it close today! It's currently 30 minutes before midnight as I type this right now, and I need to tell you about four makeup products I can't live without! I don't have a particular preference for mixing mediums as long as it's not water. It's fine for swatching, but in terms of wear longevity, I like to use any of the following: Eye Kandy Liquid Sugar, MUFE Eye Seal, or MAC Fix+, the last of which has the least practical packaging in regards to how I use it. Fix+ is actually intended to be a finishing spray, but I like to use it for when I use pigments and loose eyeshadows wet. I'll just spray the brush I'm using, dip it in color, then swirl the color into the brush using my plastic mixing tray, and apply. The other two I mentioned have dropper bottle packaging which makes more sense for me and they're very travel-friendly. In terms of makeup removal, I like using an oil-based one to really remove everything. (Of course, olive oil works too.) I am just not a fan of products that stain even though I still use products that do, and these seem to fare the best in removal while being gentle on my sensitive skin. The two I like to use is Lancome's Bi-Facil, which is a dual-phase remover, and Shu Uemura's Skin Purifier which is a cleansing oil. Ah, Guerlain--what a lovely brand. I've never disliked anything I've bought by them, even though I only own three products. This is my favorite highlighter of all time. It doesn't seem like it does much in photos, but it adds that bit of something you notice in person. It's so finely milled, flattering, and I love the trademark scent of violets. It was such a beautiful compact before I started using it every time I apply makeup. I may actually become quite heartbroken when and if I ever hit pan. Lastly, this is my favorite primer for long-lasting eye makeup. I have plenty of primers ranging from Urban Decay, Too Faced, and Lime Crime, but I often reach for this one. Not to say that I don't like my other primers, but for example, Too Faced Shadow Insurance will sometimes separate in the tube and I'll be too lazy to knead it before use. 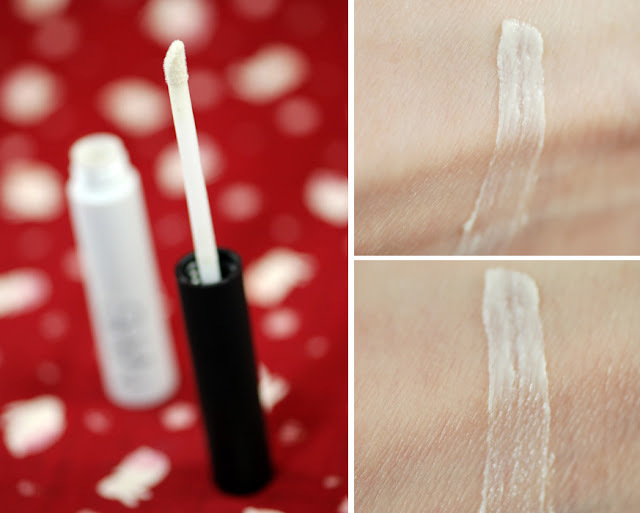 The NARS primer has simple, finger-free, easy to use packaging and the product itself is my favorite to date.